Our Story - Great Lakes Hotel Supply Co.
After working as a salesman for a food service equipment company out of Chicago, my great uncle, Al Siegel, decided to pursue the American dream. He started Great Lakes Hotel Supply in 1933, opening the first location at 1961 Grand River Avenue in downtown Detroit. Despite the tough economic conditions of the time, Great Lakes became a thriving dealership and Uncle Al was able to expand, employing his brothers, sister and numerous other employees. In the 1960s, my father, Sid Israel, joined the company after graduating from Michigan State University. Sid's brother, David, joined after serving in the US Army. Over the next two decades the company grew and evolved into the premier food service equipment contractor, a legacy that continues today. We also employ our own installation team, with some of the best stainless steel welders in the country. As the third generation owner, I am so proud of our team. 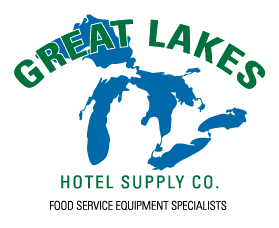 Great Lakes Hotel Supply continues to grow, designing and installing commercial kitchens all throughout the United States.